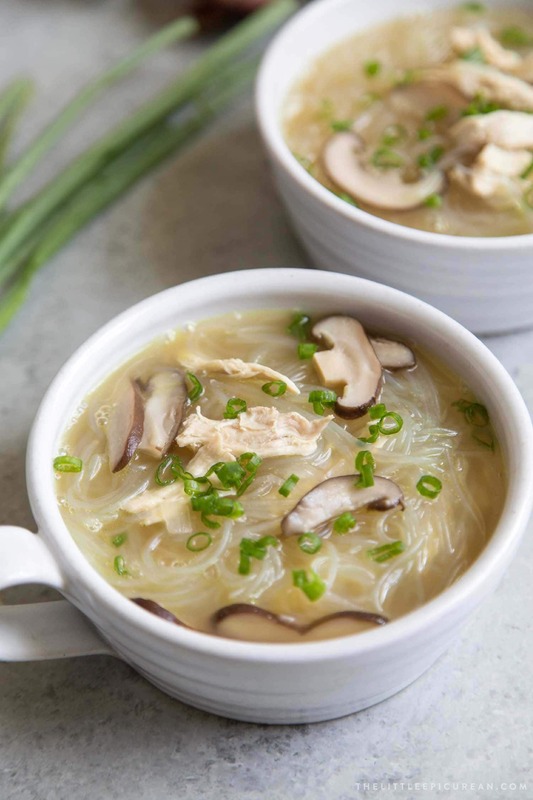 Chicken sotanghon soup features mung bean thread noodles, shredded chicken, shiitake mushrooms, and a savory rich blend of ginger, garlic, and onions. When introducing this dish to first timers, I call it “Filipino chicken noodle soup”. It’s the best explanation. It is literally a soup made up of chicken and noodles. This chicken sotanghon soup (along with chicken arroz caldo) was a staple in my childhood home during rainy days. There is something so comforting about this soup. Using simple ingredients like ginger, garlic, and onion, this sotanghon soup is super flavorful and heart warming. 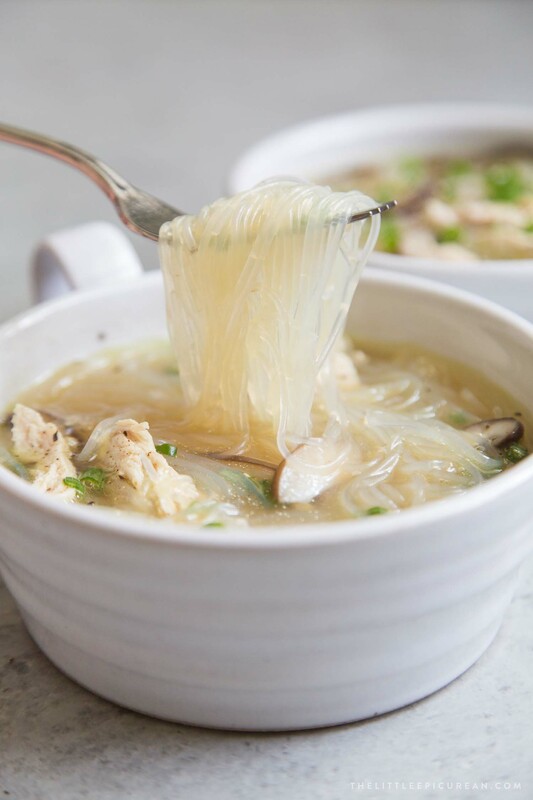 What kind of noodles are used in Sotanghon soup? Sotanghon noodles! Sotanghon noodles are mung bean thread noodles. As the name suggests, these type of noodles are made from mung bean flour and water. They appear white when sold in their dried form. The noodles will turn clear once they are cooked. Sometimes they are labeled as Chinese vermicelli. 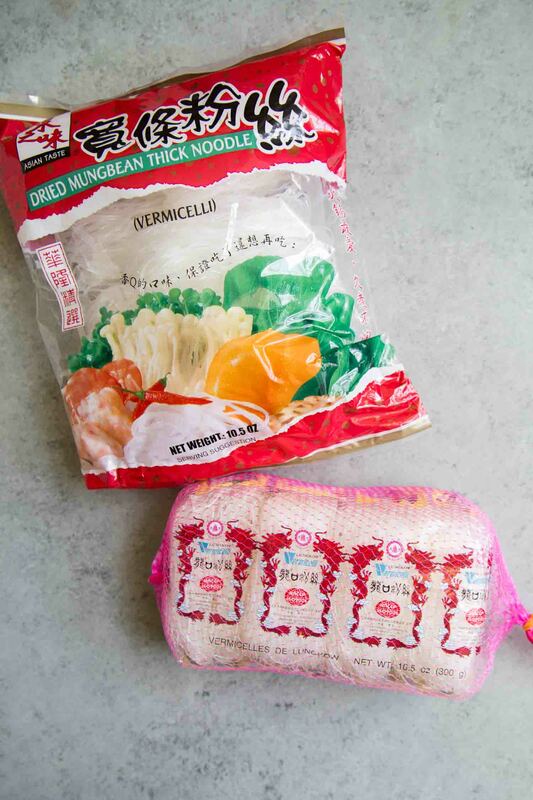 Look at the package ingredients to make sure the noodles are made from mung bean and water. Do not use rice vermicelli which is made from rice. Rice vermicelli (bihon) will turn white when cooked. 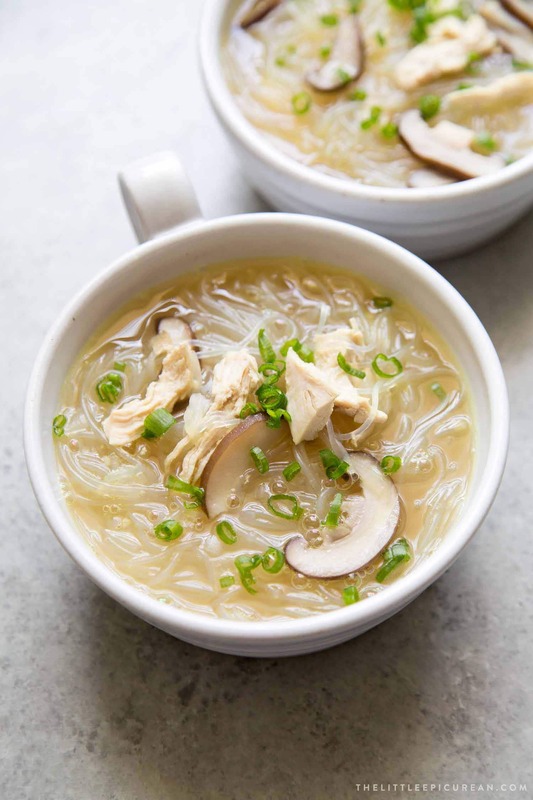 As with every recipe, everyone makes their version of chicken sotanghon soup a little differently. 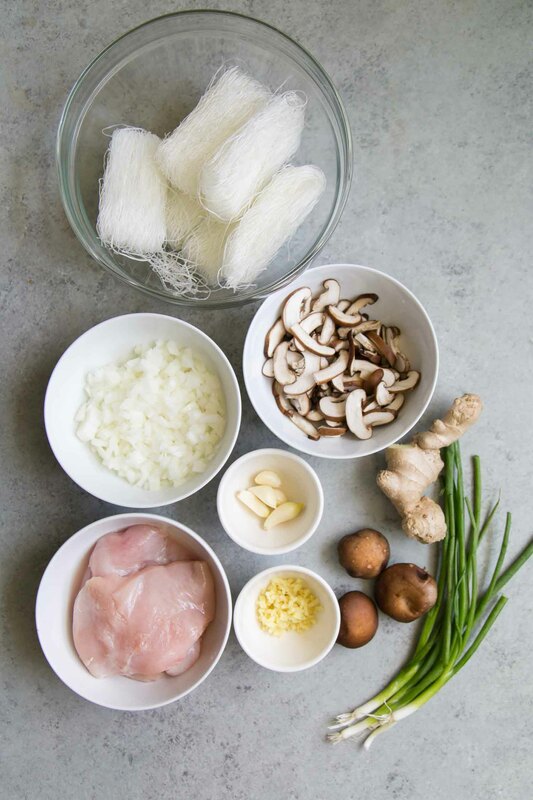 But the essential ingredients include: mung bean noodles, mushrooms, ginger, garlic, onion, and chicken. I keep the noodles long. 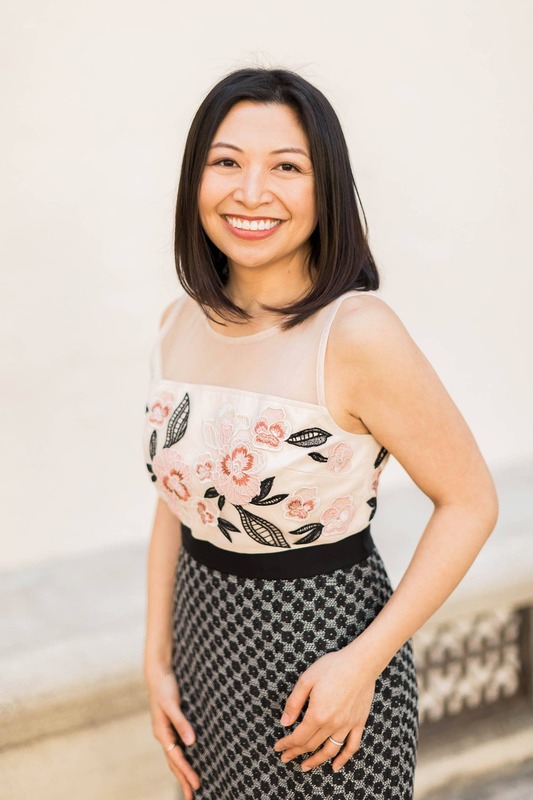 Some may prefer to cut them into shorter strands. Traditionally, sotanghon soup is made with a mixture of shiitake and wood ear mushrooms. Shiitake mushrooms impart delicious umami flavor. Dried shiitake mushrooms are readily available, but if you can find fresh ones- use those! Wood ear mushrooms are bit more difficult to procure. As such, I don’t use them in this recipe. The finished soup can only be as good as your chicken stock. Use homemade chicken stock for best results! I have included two very simple and easy homemade chicken stock recipes in the recipe card below. There are also variations in sotanghon soup colors. They range from pale yellow to brick red because some recipes call for annatto seeds (atsuete). Annatto comes from the seeds of the achiote tree, native to South America. It is common in Filipino, Mexican, and Caribbean dishes. Throughout my entire childhood, I’ve never had chicken sotanghon soup with atsuete. The recipe below best mimics the soup I remember eating at home. However, for a more authentic experience, I suggest adding a splash of fish sauce (patis) to your bowl of noodle soup. It adds a salty, umami flavor similar to soy sauce. 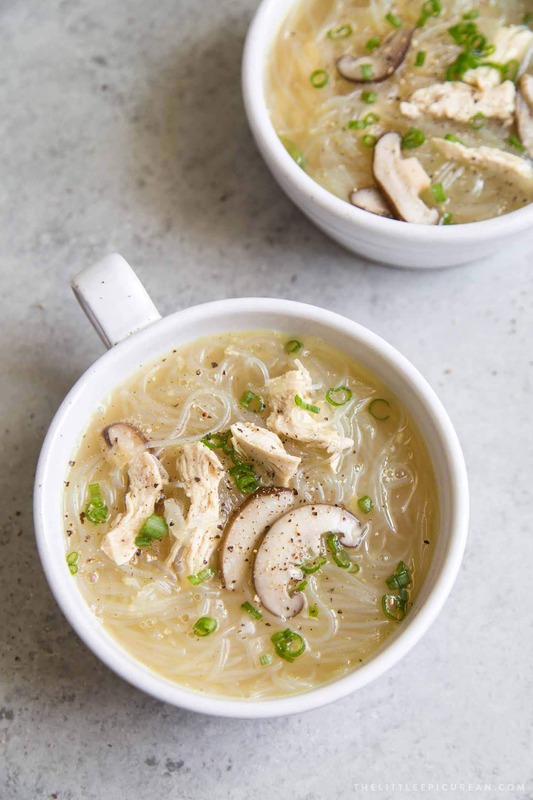 Filipino chicken noodle soup featuring mung bean thread noodles, shredded chicken, mushrooms, garlic, and ginger. Submerge dried bean thread noodles in warm water. Let soak for 10-15 minutes until softened. Heat oil in a stock pot or large pot over medium-high heat. Once warm, add garlic and ginger. Stir often and cook until fragrant, about 30-45 seconds. Add onions and stir to combine. Once onions are almost translucent, about 2 minutes, add raw chicken. (Skip if using cooked chicken.) Cook until chicken registers at least 165 degrees F. Turn chicken as needed to cook evenly, about 5 minutes. Add mushrooms and cook for 2 minutes. Stir as needed to ensure onions do not burn at the bottom of the pot. Add chicken broth. Remove cooked chicken and place on plate or cutting board to cool. Bring broth to a boil. Let boil for about 2 minutes. Reduce heat to a simmer. Shred cooled chicken using two forks. Add shredded chicken to stock pot. Season broth with salt. Taste. Add more salt, as needed. Drain soaked noodles. Add to pot. Stir to distribute. Bring soup back to a boil. Let boil for 2 minutes. Reduce heat to a simmer and cook for another 3-5 minutes. Ladle soup and noodles into serving bowls. Season with black pepper or white pepper according to taste. Garnish with chopped green onions. If using dried shiitake mushrooms: place dried mushrooms in small bowl. Cover with freshly boiled water. Let mushrooms soak for 20-30 minutes until soft. Drain. Slice mushrooms and proceed with recipe. Place roasted chicken carcass in electric pressure cooker. (For richer broth, keep cooked skin on. Otherwise, remove skin.) Add 8 cups water. Close pressure cooker lid, making sure pressure valve is closed/sealed. Cook on low pressure for 45 minutes. Allow for natural release. Discard chicken carcass. Strain broth and allow to cool. Remove giblets and trim excess fat. Place whole chicken in large stock pot. Fill with enough water to cover chicken. Bring to a boil for 2 minutes. Lower to a simmer and skin off foam and impurities that rise to the top. Add additional water as necessary to ensure chicken in submerged. Let chicken simmer for 2-3 hours, skimming off impurities as needed. Carefully remove chicken from stockpot. Strain broth and allow to cool. This looks SO good! Thanks for the recipe, pinned!